Square or round table as desired. 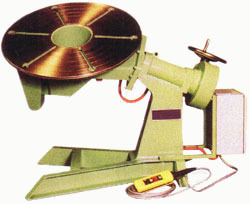 with ‘ T slots and concentric rings to facilate fast and accurate alignment and clamping. 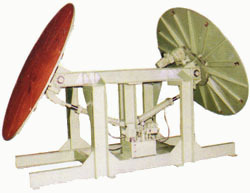 Table tilting mechanized through 135o, including limit Switches to prevent over-run. 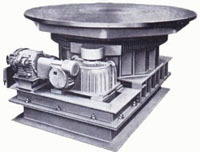 Centre spindle carried in sealed pre-loaded Timken bearings or, depending on capacity. 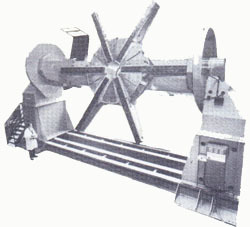 Large diameter crossrol bearing provided.